Key Difference: Sari is an unstitched garment worn by woman of the Southern Asia. These sarees are draped over the body in numerous ways. Some of the famous sarees of India include – kaanjeevaram, Chikan, Banarasi sarees, etc. Kanjeevaram Sarees – These silk sarees belong to South India. 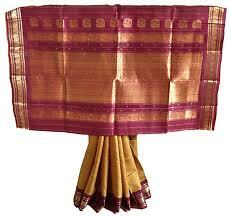 They are very popular as bridal sarees and are named after tha place in Tamil Nadu. This sari comes is vibrant colors. Golden thread is used for weaving designs on this sari. 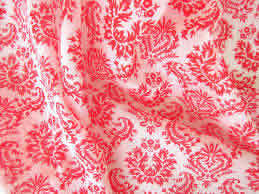 Material may vary across some regions like in some places cotton is also used as the fabric for it. It is known for its bold colors and shining luster. These come in different styles like – with or without motifs, with small or large border, etc. Chikan Saree – The word chikan has been derived from a Persian word Chakeen which means laying delicate patterns on fabric. Chikan work was originally done with pristine white conton thread in fabrics like mulls and muslins. The work is generally done in cotton garments with silk or cotton threads. The embroidery of chikankari is done with hands, however these days an imitation of this embroidery is made by machines. Sarees with this chikan work generally comes in subtle colors. This delicate work of raw thread in these sarees is evergreen. Banarasi Sarees – These sarees belong to Varanasi (Banaras) of Nothern Inda. These sarees have intricate gold and silver work on them. The work is usually done by zari and therefore these sarees are expensive. 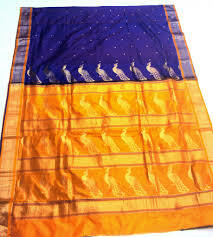 These sarees fall into the category of handloom sarees, and it usually takes days or even some months for to complete. These are generally worn on special occasions. Designs like diagonal stripes, mango flower and marigold flower are common. These sarees are known for their heavy embroidery. 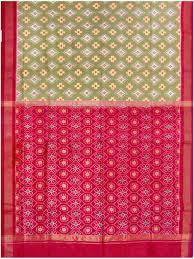 Kantha Sarees – These sarees are named after the traditional craft from Bengal. 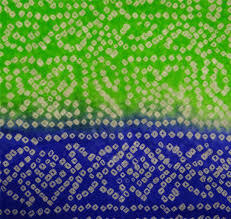 The kantha embroidery on this sarees makes them different from the other sarees. The motives are created or outlined by using running stiches. This can be done in a variety of fabric. 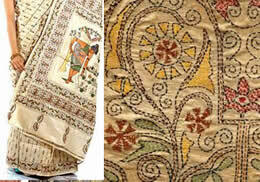 Pallus and borders are also finely embroidered. Chanderi Sarees – These hand woven sarres are known for their light weight and sheer texture. They also exhibit a shimmery transparency. It is named after a state in Madhya Pradesh. Chanderi makes use of cotton, silk thread and zari. These sarees are signs of royalty. it usually use motifs of earth, hunting scenes, sky, men, etc. They come in narrow, broad or wide border patterns. Kota Doria – These sarees comes from Kota, a place in Rajasthan. These sarees are also light weighted and have a transparent look. Usually, , it is made in cotton. However, nowadays they are also available in silk. They have graph type patterns which are also known as khats. These sarees are airy and therefor suitable for wearing during summers. A checkered pattern is its one of the main characteristics. Rajasthani bandhani Sarees – These are named after the Tie and Dye technique known as Bandhani. The word Bandhani is derived from the word ‘Bandhan’ , which means to tie. Undyed dots are produced by forming knots on various small areas of the fabric. When the fabric is immersed in color, area tied by the knot remains uncolored. It also can be used for making elaborate motifs like flowers, creepers, etc. Gadwal Sarrees – These sarees are from Andhra Pradesh. These are distinguished from other sarees as the body of the sari is made from fine cotton, whereas pallu and borders are made of pure silk material. Borders usually use tussar silk or mulberry material. This wonderful creation of silks and cotton have motifs like peacock, rudraksh rule. 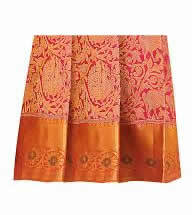 Paithani Sarees – These are named after a town in Auragabad, Maharashtra, where it is woven by hand. It is known for its beautiful colors and intricate designs. Motifs of leaf, lotus border, flying peacock are usually created on pure silk. Originally gold threaded wire used in these sarees. However now a day, zari is being used. These sarees are weaved with the help of a wooden loom, scissors and kakda. 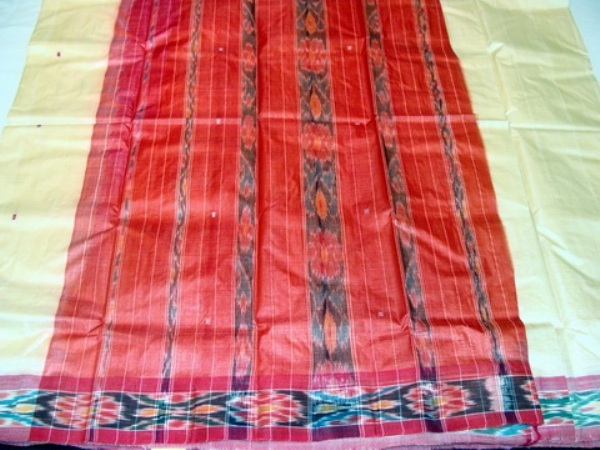 Lugade or Nauvaree – This is a traditional nine yard silk sari from Maharashtra. It is not draped like other sarees, as one needs to tuck the hind pleats into the waist at the back center while the other decorated end is kept over the left shoulder. It has gold embroidery in it. It uses designs of wine and flowers, petal, coconut form, etc. It comes in alluring colors and designs. Kosa Sarees – These are named after a type of silk which is found cocoons grown on in trees like sal and saja. It gives a dull golden brownish appearance. As kosa worms are rarely found, Cotton or Polyster are also mixed with Cotton or Ploystor. 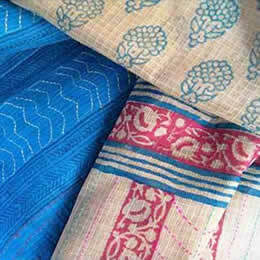 Ikat Sarees – These sarees from Orissa makes use of a tie and dye technique on the yarn, and then motifs are weaved in them. 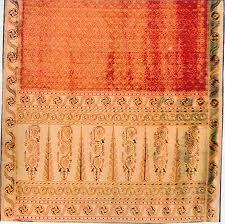 Their borders are generally embroidered with heavy thread work wonders whereas pallus exhibit geometric ikat patterning. Silk and gold threads are used for creating motifs. 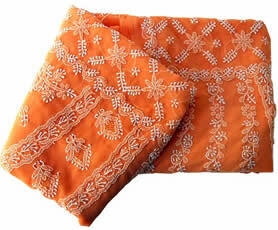 These sarees are also known as patan patola. Great article. Banarasi saree is most popular saree accross the fashion world. Great information about different types of Indian sarees.